With Christmas fast approaching, Pro Bono Australia presents its Ethical Christmas Guide; what charities across the country have on offer and a way for Australians to support the Not for Profit sector when making their Christmas purchases. The amount of money spent on Christmas gifts and food each year in Australia is staggering. Peak retail industry body the Australian Retailers Association (ARA) predicts Christmas spending this year to hit $39.8 billion in retail sales (from mid-November to December 24). The UNHCR’s World’s Biggest Relief Package (above) and UnitingCare’s Operation Santa (Below) re just two of the ways Australians can make a difference this Christmas. According to ARA modelling, this Christmas will see $15.7 billion spent on food, $3.4 billion spent in department store, $2.8 billion on apparel, $6.7 billion on household spending, $5.5 billion on hospitality and $5.8 billion being spent on other items. The Pro Bono Australia team agrees… we still love receiving gifts, but how many people can remember what they got for Christmas last year? And remember, the very best way to give to a Not for Profit organisation this Christmas is through a donation. Sadly one in seven Australian children are living in disadvantage3 won’t be sharing in the joys of sharing gifts at Christmas and miss out on learning opportunities all year round. It is sad to think of these kids missing out on Christmas but devastating to think that they may not get the learning opportunities they deserve throughout the year to create better futures for themselves. With your help we can ensure more kids receive the educational support they require to break the cycle of disadvantage in 2011. The Smith Family JoyspreadersChristmas Catalogue offers the opportunity to buy a gift that helps unlock opportunities for disadvantaged children, using education as the key. For example for $100, you can help a disadvantaged indigenous child‘Build Aspirations’ by providing extra-curricular activities and tutoring. These extraordinary presents embody the spirit of Christmas and the true gift of giving so visit thesmithfamily.com.au/joyspreaders now. 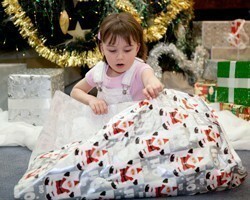 To donate to The Smith Family Christmas Appeal, click here or call 1800 024 069. Are you tired of sending the same Christmas gifts each year to your clients and staff? Forget umbrellas, diaries, chocolates and flow­ers… This year, give a gift that keeps on giving! Provide homeless and disadvantaged women with paid work in a safe, secure and rewarding environment. Provide your clients and staff with a high quality magazine each fortnight. Showcase an innovative approach to Corporate Social Responsibility. Demonstrate commitment to disadvantaged communities and women in the workplace. For every 100 subscriptions sold, a homeless woman has a chance for a brighter future! And with NAB, Westpac and Telstra already subscribing it’s easy to see why the idea is a winner! 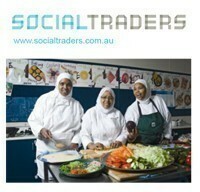 Social Traders is a small nonprofit organisation established in 2008 to support and encourage the establishment of commercially viable social enterprises throughout Australia. The Social Enterprise Gifts with Impact Catalogue is full of purchasing ideas for the festive season that deliver community benefit to those in need – ideal for family, friends or colleagues. It contains a wide variety of gift ideas from Hampers to House and Garden and all contact details of social enterprises are included. Click here to view the catalogue [PDF]. catalogue! You can show your love to family and friends by giving them something bigger– a gift that will bring a smile to their face and the face of someone less fortunate – a mother, father or child living in poverty in a developing country. When you purchase an item from ‘Something Bigger’ you receive a gift card with the details of your purchase and provide funding for our clients, for example – by starting a small vegetable farm, Opportunity International Australia’s microfinance clients in Indonesia are able to sell their produce at market to make a profit, using the money they earn to provide for their families. Whether you choose a handloom on behalf of a fashion fanatic or a buffaloan for an animal lover, each gift helps us provide something bigger – small loans that will give people living in poverty the tools they need to start a business, earn an income and provide for their families for years to come. Plus, because 97% of loans are repaid and re-lent to help someone else, your gift is constantly at work, helping people out of poverty. We’re not sure you can give something bigger than that! Trade Christmas Guide. In this Guide, you will find a listing of 58 of our members who sell fair trade products including crafts, clothing, and Fairtrade Certified products such as coffee, tea, and chocolate. Every fair trade gift given this Christmas helps to make a difference to farmers, workers, artisans, their families and communities. This Guide will help you find unique gifts for your family and friends while bringing the benefits of fair trade back to the producers. Each entry in the Guide includes a web address for you to find more information about the supplier. Some advertisers wholesale their products, others retail, and some do both. Some have a shopfront, others only operate online. But they all stock a significant proportion of fair trade products. We hope you find the Guide useful and enjoyable to use. Please pass it on to your family, friends and colleagues and purchase your Christmas gifts from the featured businesses, which in turn will assist disadvantaged producers earn a sustainable income. Download the Fair Trade Christmas Guide [PDF]. 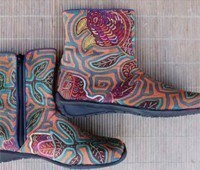 Or visit the FTAANZ website for more information – www.fairtrade.com.au. Last Christmas did you struggle to find the perfect gift for all of your friends, relatives, neighbours and colleagues? This Christmas give a Caritas Australia Global Gift, and you’ll be supporting life-giving development and disaster relief in more than 30 countries. Perhaps you will choose to give the Gift of Water – truly the gift of life. With 1.1 billion people around the world living without safe and clean drinking water, with you, Caritas is compelled to action. Our new range of Global Gifts includes the gifts of Peace, Food Security, Health, Water, Education and Disaster Response. Each gift is beautifully illustrated in a timeless Christmas card your loved ones can cherish. Together we make a crucial difference to the lives of individuals, families and entire communities who must otherwise bear the enduring burden of our indifference. As you share your passion for justice, why not also invest in the Gift of Peace? You will support countries like Sudan, where Caritas is currently working hard to ensure peace and security in the lead up to the National referendum in January 2011.
vulnerable people through Operation Santa. We support thousands of people every day who turn to us for reasons including financial difficulties, mental illness, homelessness, family turmoil and an absence of loved ones. For many of the children, young people, families and older people we assist, Christmas is a time of additional distress. Please help us to collect 100,000 gifts for people in need. Visit your local Target or Target Country Store. Select a gift tag from the large red UnitingCare Christmas Tree and place your gift under the tree. Gift cards can be purchased from Target checkouts too. Gifts are collected by UnitingCare representatives and distributed to local people in need in time for Christmas morning. 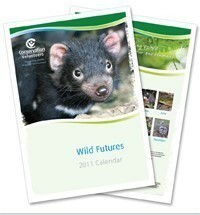 Conservation Volunteers Australia HASjust produced a Wild Futures 2011 calendar to help raise money for our endangered species program “Wild Futures”. Each calendar is $20 with all proceeds going to the program. Through Wild Futures, we contribute to wildlife conservation in a simple yet powerful way. By analysing Recovery Plans, we identify the expert-approved conservation actions to which we can provide significant support. We get our supporters excited and involved. We get our volunteers to roll up their sleeves. And then we implement those actions – actions that we know will give those animals brighter, wilder futures. As Conservation Volunteers Australia is a not-for-profit environmental organisation, our Wild Futures program relies entirely on external financial support. Our urgent work for Australian wildlife is made possible by a range of supporters, donors and contributors, as well as the thousands of volunteers that make it all happen. Mental illness impacts on many families in our community. It can impact a person’s ability to do things that you and I take for granted; visiting friends, using public transport, being in busy public places or participating in local events like the carols in the park. This year our Christmas Appeal aims is to raise $65,000 to support our vital Do It Club – a peer run group for people living with a mental illness – that focuses on empowering participants to live a life of their choice. The Do It Club aims to reduce the sense of isolation that many of our clients experience and promotes active involvement in the wider community. The Do It Club program is not currently funded. The reality is that 1 in 5 people live with mental illness. Your gift gives them hope, focuses them on their strengths and abilities and creates a positive sense of self where they start to live a life not defined by illness. 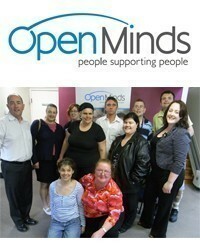 will provide vital services to people recovering from an acquired brain injury. 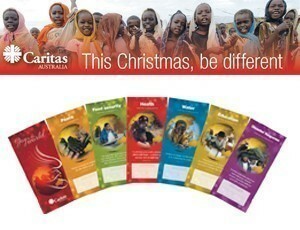 Download more information on the Christmas Appeal [PDF]. DSP Australia Inc invite you to give a $10.00 Or a ‘Gift Card’ at a Large Store, so it can be given to those who never receive anything at Christmas time, and suffer badly at this wonderful time of the year, ‘When people like to give & be generous’. Your donation of $10.00 or a $20.00 note will go far to making a Young DSPpensioner happy over this festive season when they come together and receive their Christmas Gift from under the Christmas tree in our Club-Room. Donations are Tax Deductable and much appreciated. Those who wish to donate more than this amount will receive a Copy of our ‘Festive Season’ Activities planned for this time of the year for our Members. Anyone wishing to be a beneficiary is welcome to make contact with us or our ‘Lawyers’ ‘Tolhurst Druce & Emmerson‘ who will handle these matters for us. Wishing you all a very ‘Happy Festive Season’ and look forward to your support. 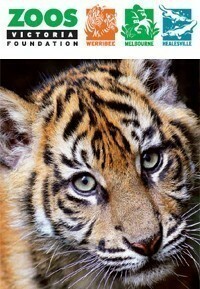 Healesville Sanctuary and Werribee Open Range Zoo and will support international conservation efforts. With increasing pressure from habitat loss, introduced species, disease and the impacts of changing climate, more than 20% of Australia’s mammals are threatened with extinction. You can help our conservation programs with your donation to help save wildlife. Zoos Victoria is a non-profit organisation and around 30% of our funds come from government. This means we still have to raise the other 70% from admission fees, retail sales and from donations from people like you. At Zoos Victoria our work extends beyond our zoos, with eight Australian threatened species recovery programs and seven international conservation programs. They are making a real difference to helping save animal populations and their habitat as well as contributing to scientific knowledge. 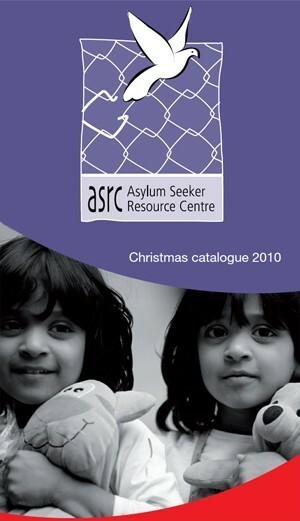 Buy your Christmas presents through the Asylum Seeker Resource Centre and make a difference to the lives of some of our community’s most vulnerable people. We have a great selection of organic, fair trade products that will feel great to buy and give! 100% of all proceeds from this catalogue will help us provide direct, critical services to asylum seekers. In the past financial year, the ASRC helped over 1000 asylum seekers. We provided 7,490 Metcards – reducing social isolation and allowing clients to pick up their weekly food at the ASRC. We supplied weekly groceries for 120 families every week – over 75% who have no income. We cooked hot lunches for 500 people every week through our Community Meals Program. We legally assisted over 450 asylum seekers from 56 countries – successfully representing 83% at the primary stage of the refugee process. The ASRC Shop provides everything from wrapping paper and cards, through to Christmas foods and a wide range of ethically sourced gifts. MarionLIFE has produced an ethical Christmas gift catalogue in partnership with the New Internationalist. MarionLIFE Community Services is a Not for Profit community organisation that strives to provide meaningful, flexible and responsive care and support to individuals and families in need. 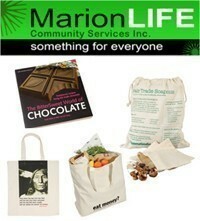 MarionLIFE is also doing a Christmas Hamper appeal ($40) for families in need this Christmas. Making a donation on behalf of someone else (ie. as a gift) they will receive a Christmas tree decoration and a story of the times of families we care for. Living Fundraisers specialises in healthy, ethical, educational fundraising products. All products are made in Australia at Paramount Workforce, a community organisation supporting people with disabilities. 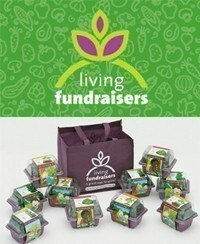 Living Fundraisers supports the Stephanie Alexander Kitchen Garden Foundation, Greening Australia and the Happy School. UNHCR – Stuck for Christmas gift ideas? The World’s Biggest Relief Package is a life-saver. This Christmas, we’re calling on Australians to join together to create the biggest relief package the world has ever seen. Australia for UNHCR is raising funds for the Nakivale Refugee Settlement in Uganda, currently home to 56,000 vulnerable refugees, most of whom have fled the ongoing conflict in the Democratic Republic of the Congo. As more and more desperate people continue to seek safe refuge in Nakivale, the Settlement’s infrastructure and resources are becoming increasingly stretched. Shortcomings in areas like water, healthcare and education lead to sickness and life-long disadvantage. To help make a real and lasting contribution to the lives of refugee families, purchase a gift from yourself or on behalf of a friend and send it to someone in need. You’ll also receive a special downloadable gift card that you can give to a friend in lieu of a gift. Good Return gift certificates are another great gift to give this Christmas! Good Return is a new way of giving, connecting Australians to women in the Asia Pacific who need a small loan to start or grow a small business, which allows them to lift themselves and their families out of poverty. Good Return combines this with functional and financial literacy to empower women and break the cycle of poverty. Gift certificates are either a donation or a loan—you choose! If it's a loan, when the funds are repaid (and to date we have a 100% repayment rate), your gift recipient can keep the money to spend on something they like, or they can re-loan and help even more people out of poverty. 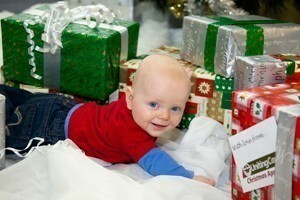 Gifts start at $25 and you can find out more at http://www.goodreturn.org/gifts/gifts!